Here are Binny and Mo (Mo's the mean looking one). Spike hooked up with them at Wheeler's Ranch on March 4, 1969 and shortly after talked them into leaving their owners to form the first true domestic animal cooperative. Some say they became wild but Spike, Binny and Mo knew otherwise. To enjoy the entire HERMAN story, go to october7productions.com and click the Herman tab. 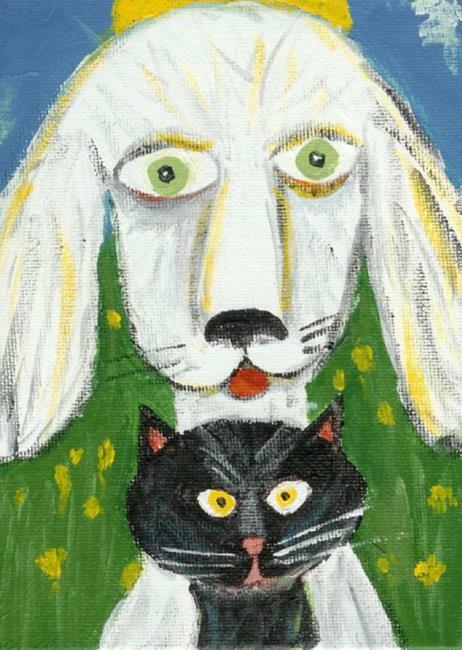 You can also view Herman greeting cards by clicking the Greeting Card tab.